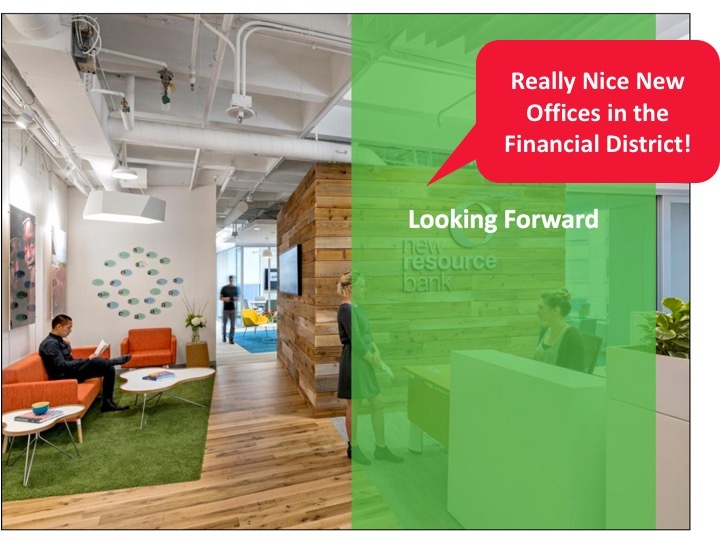 In the three years since my February 2014 Timyan™ Bank Alert review of New Resource Bank, the bank has inarguably "blossomed" — just not in quite the fashion I had hoped. 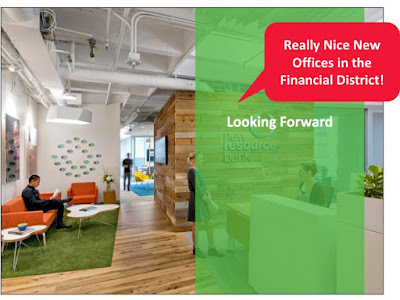 This one-branch San Francisco institution is a much bigger tree now, having grown footings by 52% and built a fancy new headquarters, but it is nowhere near bearing fruit for its shareholders. 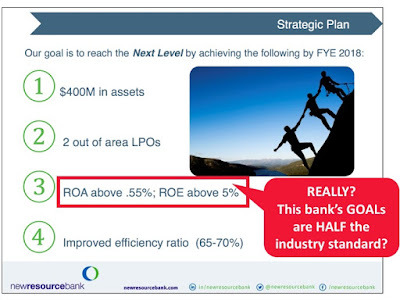 Personally, I think it's fine if Management and some shareholders would like to run this bank as a non-profit. 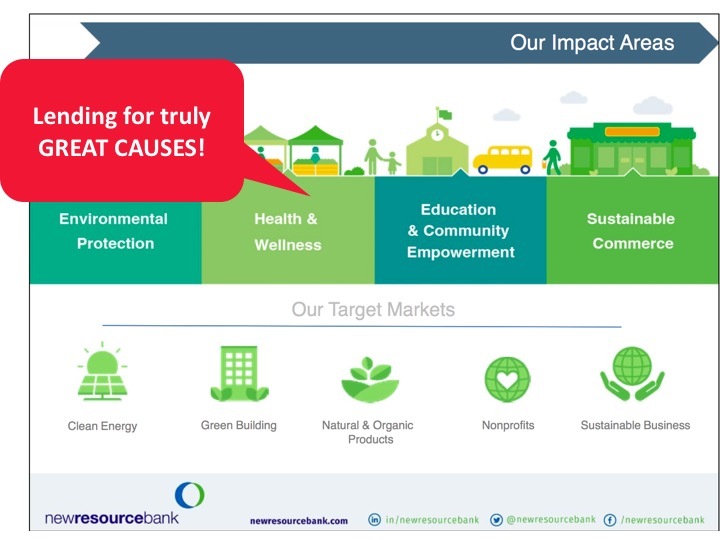 (I can even get excited about their focus on "impact lending" to promote clean energy, green building, and sustainable commerce!) But if that's what they are up to, they should be honest, and offer outside shareholders a way off the farm at a fair price. 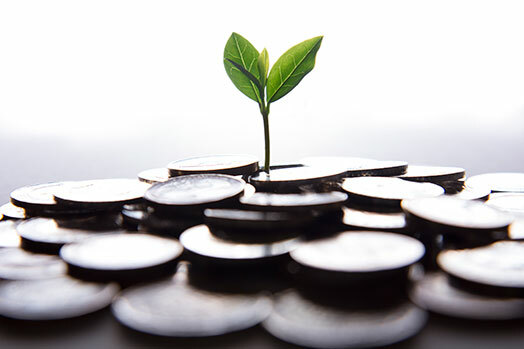 Given the looks of things today, I'd be happy to take $10/share for NWBN, even though the stock could garner $12/share were the bank to be acquired. 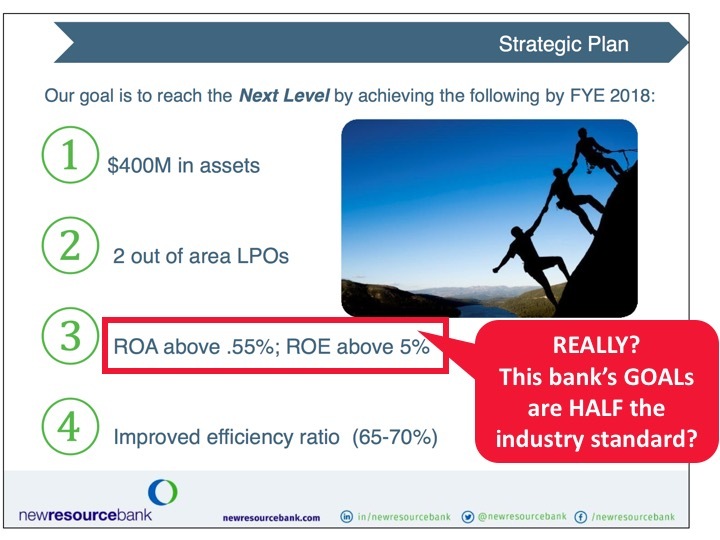 New Resource Bank's CEO Vince Siciliano has been clear that he has zero intentions of ever selling the bank. Thanks iota! Yes I hope that is good news. I hope the new CEO will want to at least earn NWBN's cost of capital. We shareholders deserve better treatment from the Board of a public company. My fear is that the Board thinks New Resource Bank is a charity.